More than half of the Dutch people take a gamble from time to time with one of the games of the Nederlandse Loterij. The Nederlandse Loterij actively pursues a responsible gaming policy. This gaming policy focuses on consumer protection, addiction prevention and the prevention of illegality and crime. Young people under 18 often have trouble seeing and resisting risks. The top priority of the Gaming Authority is therefore to prevent young people from being able to participate in gambling. 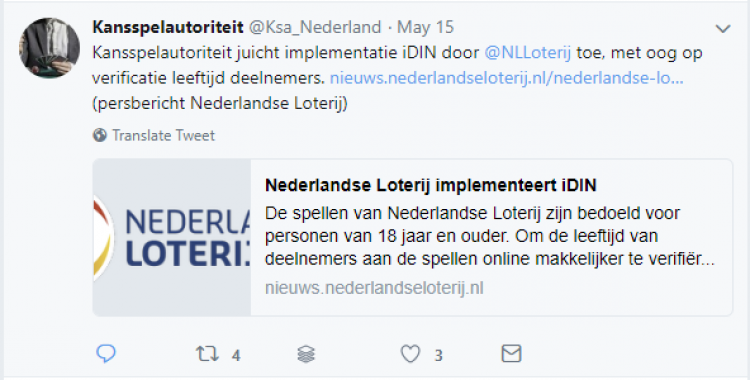 That’s why the Gaming Authority thinks it is a good thing that the Nederlandse Loterij does an age check with all its online players. Willemijn Jansen (Manager Responsible Gaming at Dutch Lottery) emphasizes the importance of an age check because only adults are allowed to play the games of the Nederlandse Loterij. "We offer gambling games in a fair and safe way, a reliable age verification of our players is part of that process." That’s why the Nederlandse Loterij works with iDIN. The Nederlandse Loterij shows that a positive user experience, safety and responsible gaming work very well together. By using the iDin technology, they enable ease and safety as well as taking full responsibility when it comes to age verification (18+). 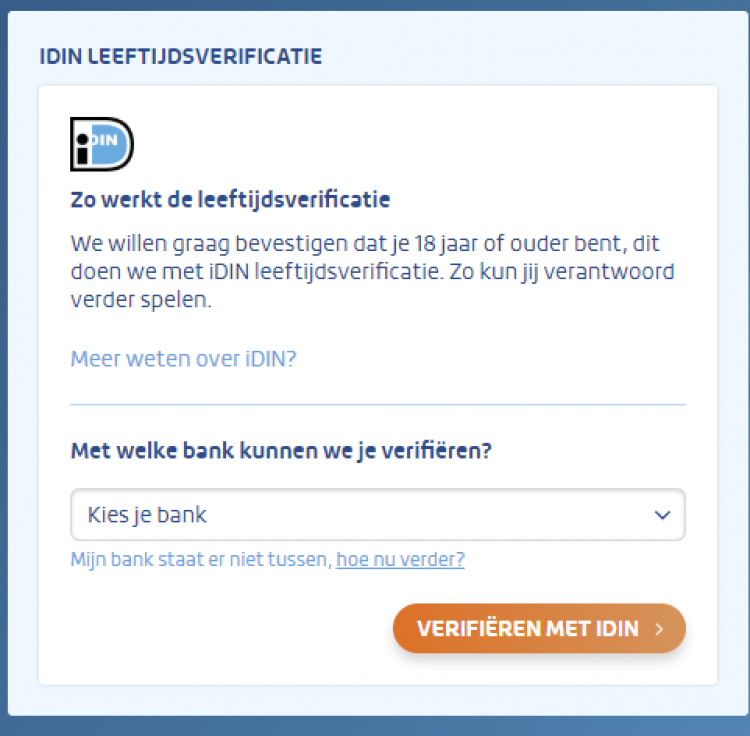 Product Owner Marlin Kamminga has coordinated the implementation of iDIN in the portal of the Nederlandse Loterij: "Before we implemented iDIN, you just created an account and you could play immediately. However, the necessary checks were built in, both when completing the account and afterwards with random checks or when you win a large prize. But a reliable technical age verification as we have now with iDIN, wasn’t there yet." "We have opted for this implementation, partly because of the convenience for users. Of course, we have an interest in such a tool that does not deter consumers, "says Marlin. "That's why the Nederlandse Loterij has opted for a reliable method with a recognizable logo." 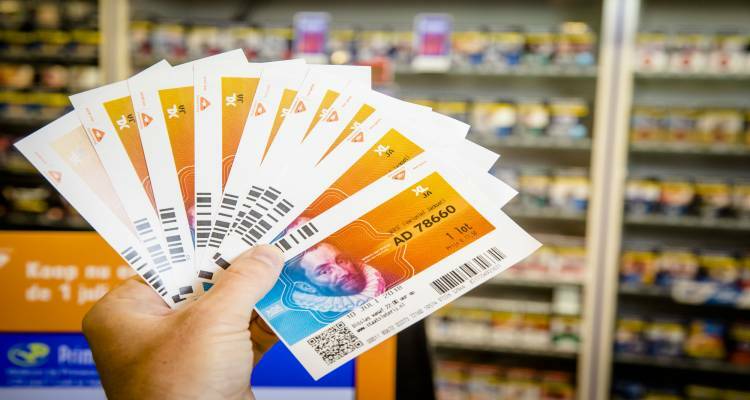 The Nederlandse Loterij doesn’t only clean up their existing database thanks to the implementation of iDIN, but is also prepared for the future. Moreover, they take a leading role in the sector, and their gaming policy 'Play safe, 18+', is even stronger supported. Both by the organization, but also by participants who take a chance to change their future with a nice cash prize! Do you want to get started with iDIN? Register now to get access to the API or contact us for more information.